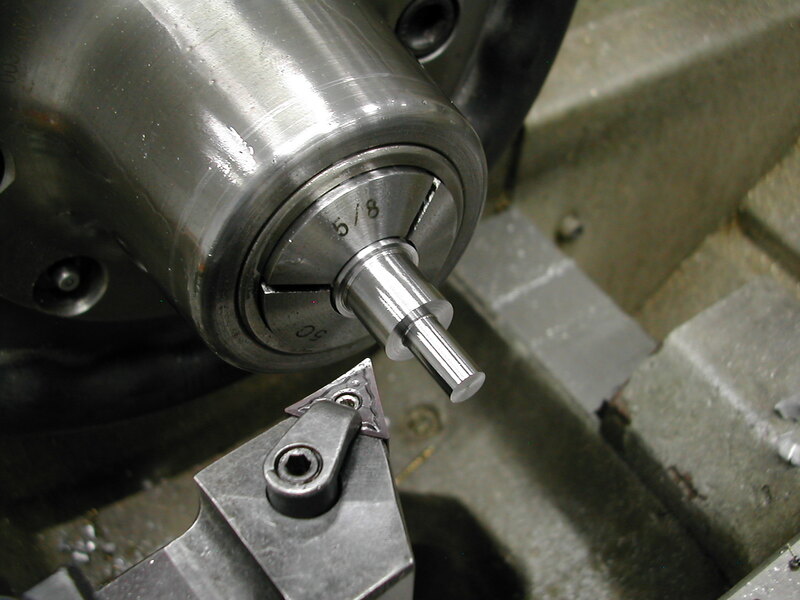 Before starting the Jackshaft, you should re-bore the G-175 gear so it can be used to size the shaft and you should have completed the front bearing and cam retainer plate for the same reason. 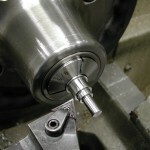 It's always easier to adjust an outside diameter than an inside one to obtain the proper fit. Since the material was in plate form, I sawed it into roughly 3/4″ X 3/4″ X 1-1/2″. 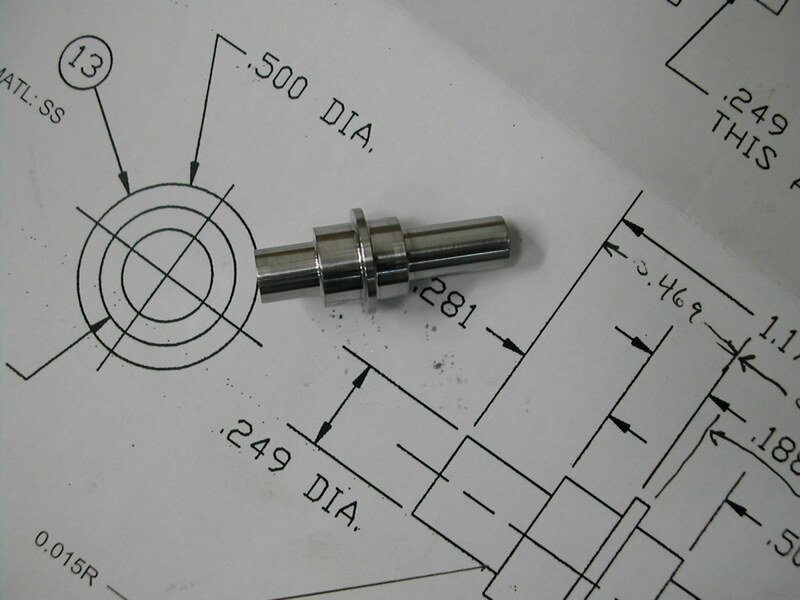 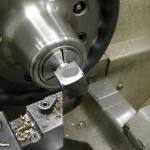 The dimensions of 3/4″ X 3/4″ work pretty well because the piece just fits into a 1-1/16″ collet to rough it out. 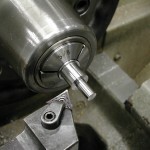 With one end roughed down to 5/8″, and moved to a smaller collet for a more stable arrangement, I ready to start roughing the end with the long 0.25″ section. 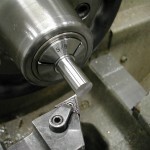 I chose to machine it this way so that when I flip the part to work on the other end, I can grip on the longest section. 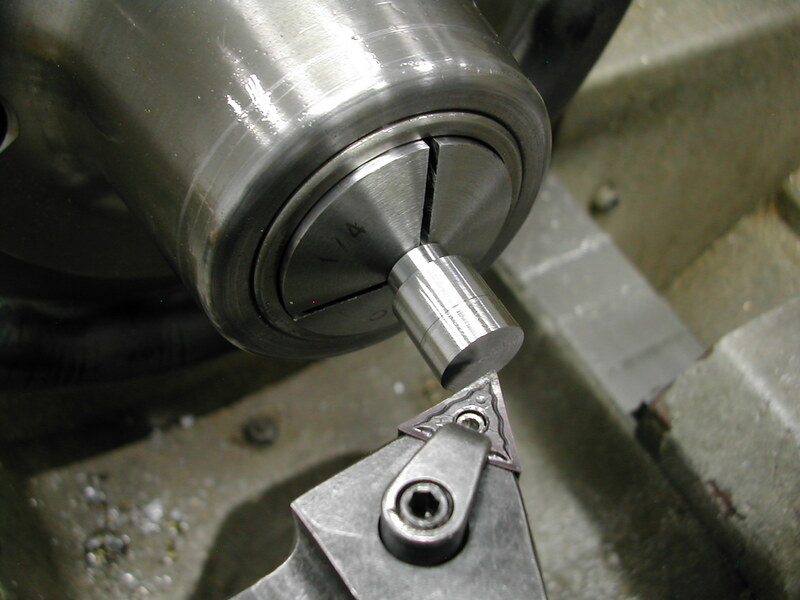 First, I’ve turned the 0.500″ diameter well past the flanged area. 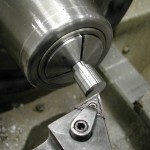 Next step is to face the end and note the carriage position so I can place the two shoulders coming up. 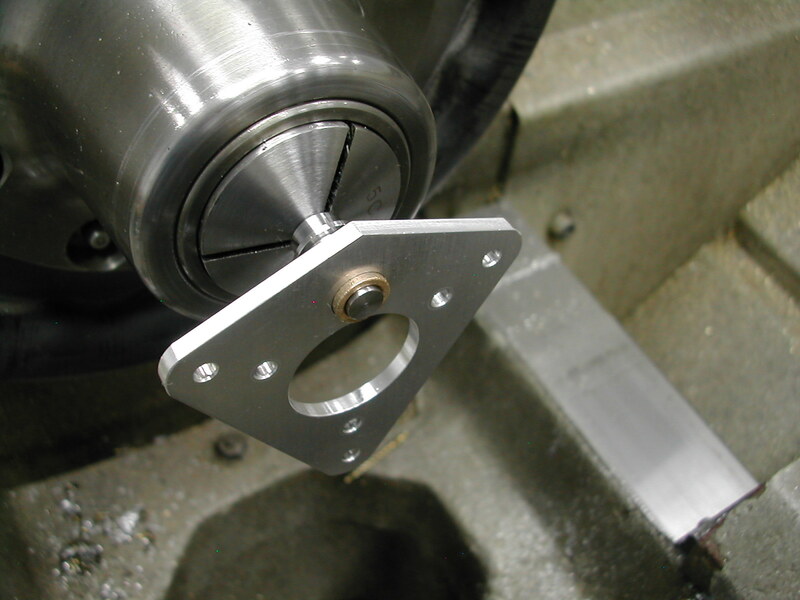 Since I reamed my front bearing and cam retainer plate oversized, I’m turning this 0.500″ long section to 0.251″. 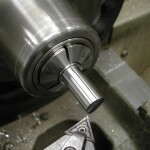 This will also make a nice press fit on the S-2412 steel gear so I can turn the whole length the same diameter. 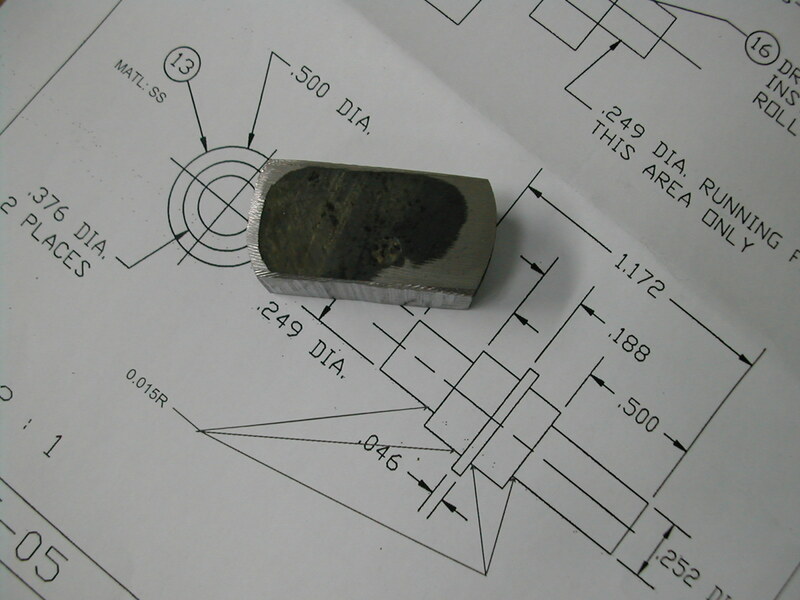 Before I go on, I’m verifying that this is a good running fit on the front bearing. 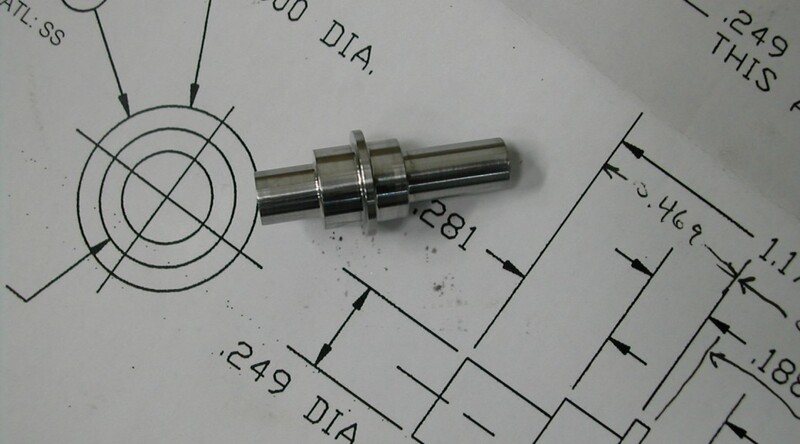 The diameter of the 0.376″ step here is not critical, but the length forms one side of the gear flange so try to get that in the right place. 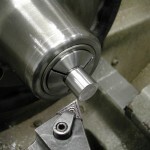 Since my stock was still about 0.4″ long over all, I chucked on the 0.500″ section to rough the other end down to 1/2″ diameter and within a few thousandths of the finished O.A.L. 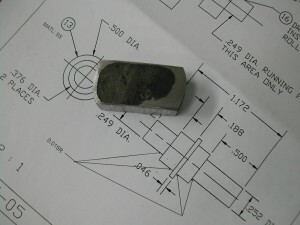 Next, I re-chucked on the 0.25″ section, faced off the remaining few thousandths on the over all length, and zeroed the carriage position. 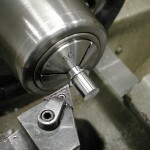 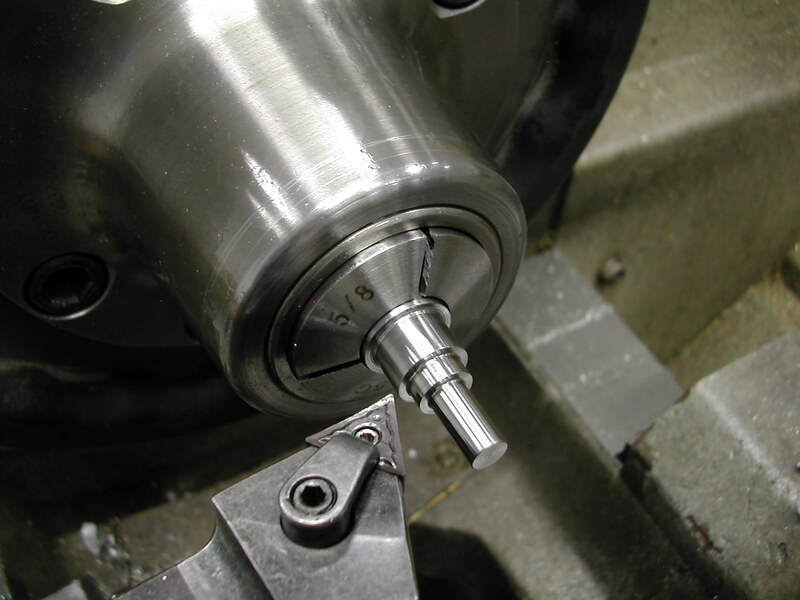 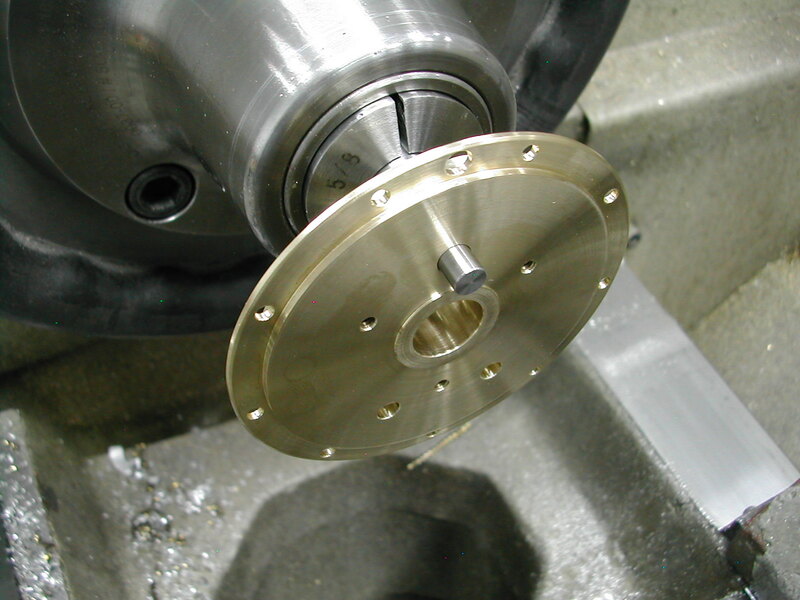 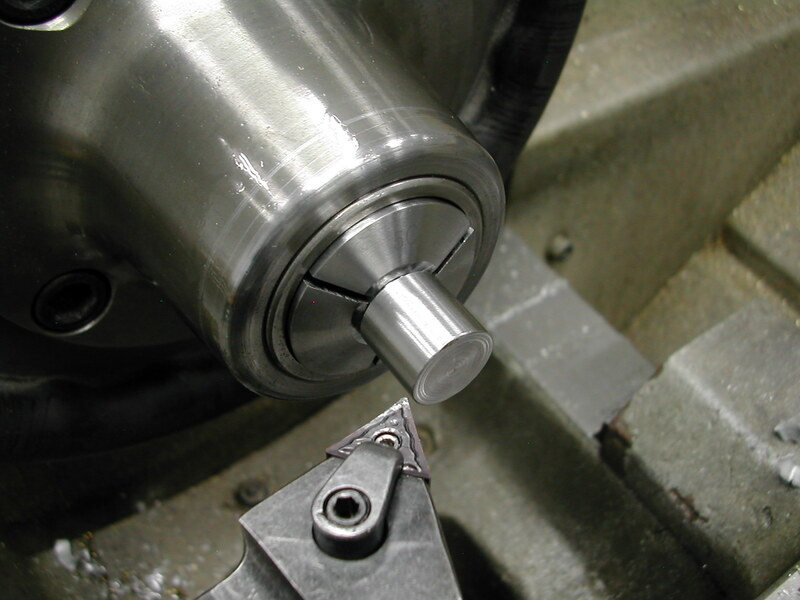 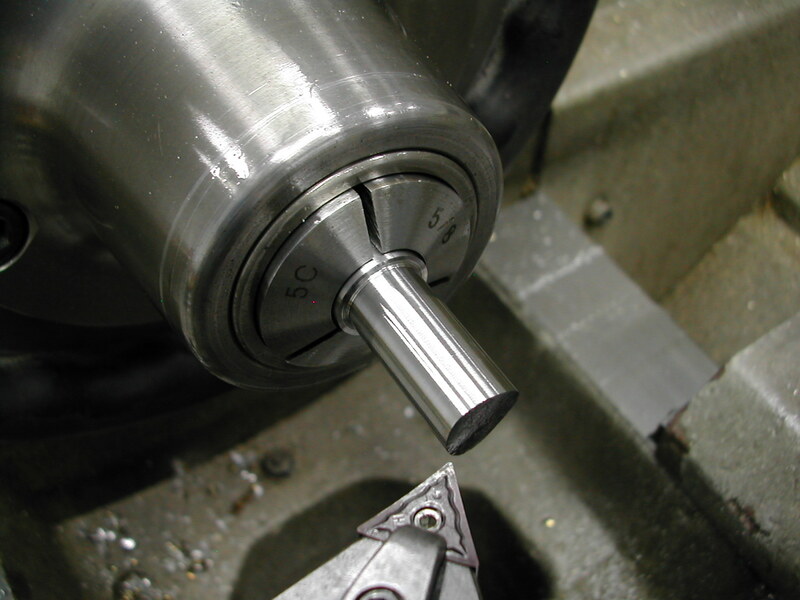 With my new length datum, I turned the 0.376″ diameter up to flange. 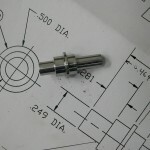 Check this carefully – it should be a light press fit on the G-175 gear. 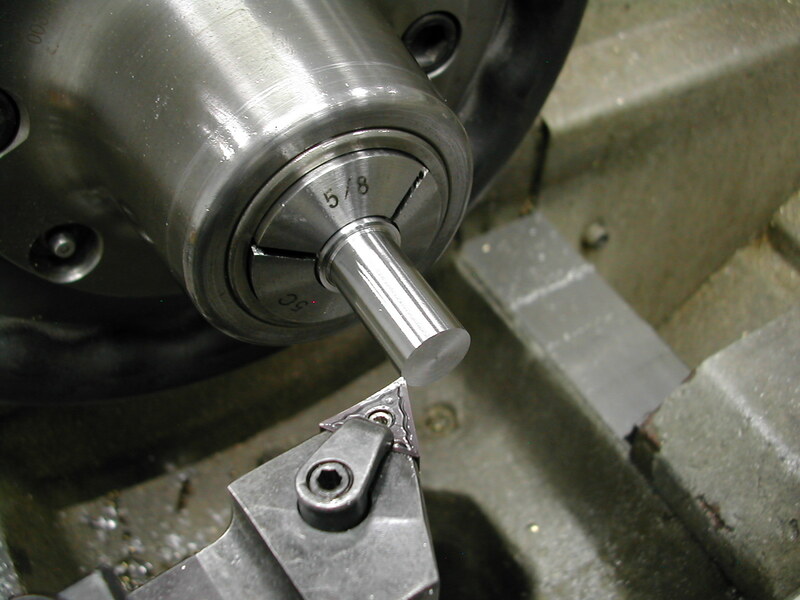 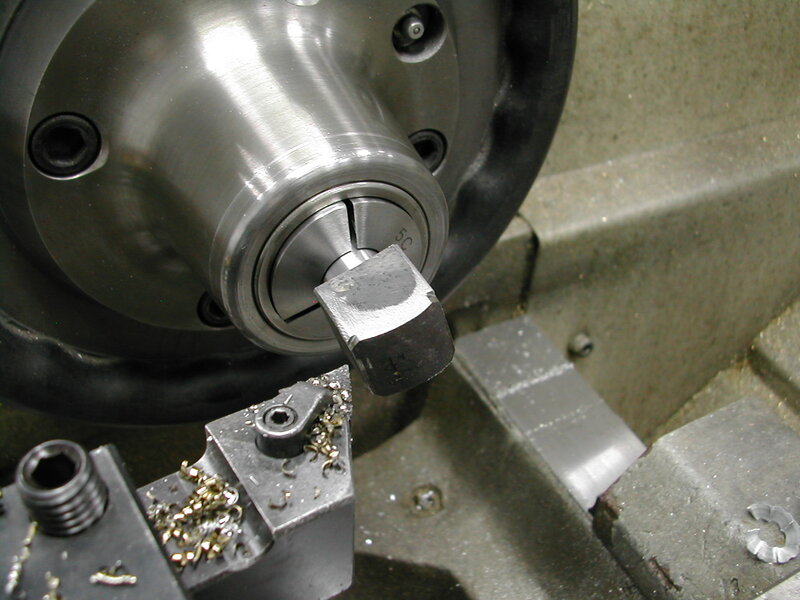 Once again, I’m turning this to 0.251″ to fit the bushing previously reamed in the cam retainer plate. 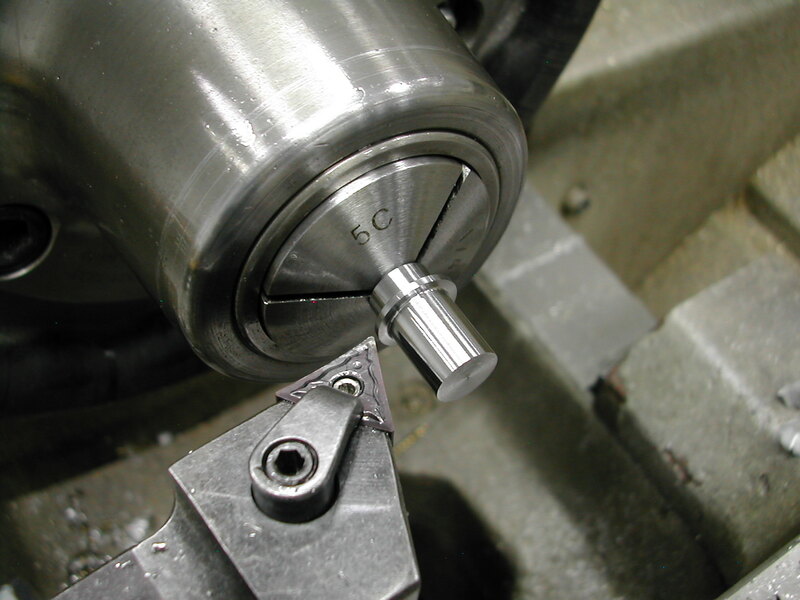 Now is the time to check and adjust the 0.25″ section for a good running fit on the cam retainer plate. 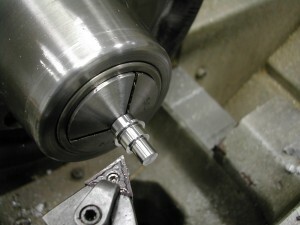 The finished jackshaft ready to have the gears pressed on.